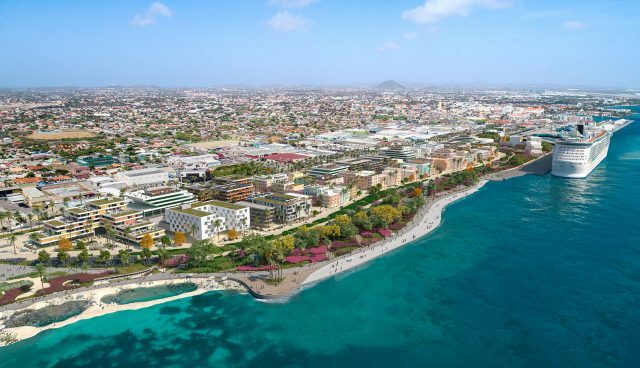 Together with Aruba Port Authority (APA) and Port of Amsterdam International (PoAI) OZ Caribbean collaborates within a multi-year plan in transforming the urban development of the harbor front into a sustainable mixed-use area. The mixed-use program includes residences, offices, retail facilities and great space for a public park. 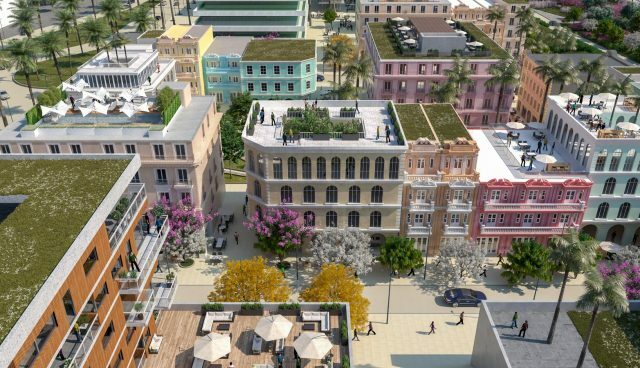 Transformation and re-designing for urban development in the Caribbean requires a pioneering, flexible and innovative approach; it is about finding a balance between planning and improvisation resulting in a renewed concept ‘informal grid’. The new Port City, located in the southwest part of the capital Oranjestad, is a merge of three locations. It is connecting the former Containers Harbor area with Paardenbaai and Bushiri Beach combining approximately 180.000 square meters for new urban programming. The informal grid concept simulates an organic growth, including flexibility and diversity, connecting the harbor front to Oranjestad as well as welcoming (cruise) tourist to Aruba. Port City’s informal grid is a cohesion of the existing qualities of Oranjestad. The sustainability ambitions are high in the field of energy consumption, energy generation and water usage. Besides the spatial design elements of transition between building heights and the integration of greenery as key components, the wind is of significance importance. The wind is guided toward the sea creating a natural airflow through the spatial grid. The LEED certification contributes to a durable approach, preserving environmental conditions. 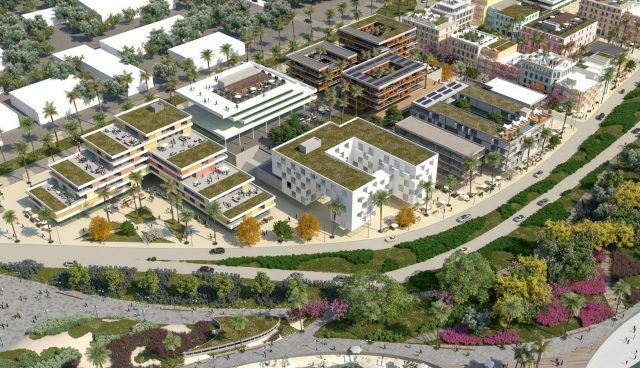 Port City Oranjestad includes; a flexible approach, adds to the diversity, connects people and supports high quality of public space. The harbor front will belong to the inhabitants of Aruba again, being a lively mixed-used waterfront whereat public space supports inclusiveness.